Thread: RUMOUR: Victory /Indian Motorcycles Hitting Indian shores! Victory Motorcycles, the US-based bike manufacturing company, will enter the premium market with its cruisers next year. The company manufactures luxury touring bikes, classic-styled motorcycles and powerful inter-state cruisers, among several others. Victory has been drawn towards India following the vibrant success of its competitor, Harley Davidson, which has sold an average of more than two units from its line-up of 12 models every three days this calendar year. Market sources said Victory is close to completing its market analysis in India and will introduce models that would best suit the country. The company is keen to participate in next year's biennial Auto Expo held in New Delhi to showcase its products. A formal launch by the company will be announced by the second half of next year. To test market response, the company will start importing the bikes initially before setting up an assembly plant to cut costs. Harley Davidson has managed to bring down its entry point price to Rs 5.5 lakh from more than Rs 7.5 lakh after it built an assembly plant in Bawal, Haryana — the third plant in the world after the US and Brazil. 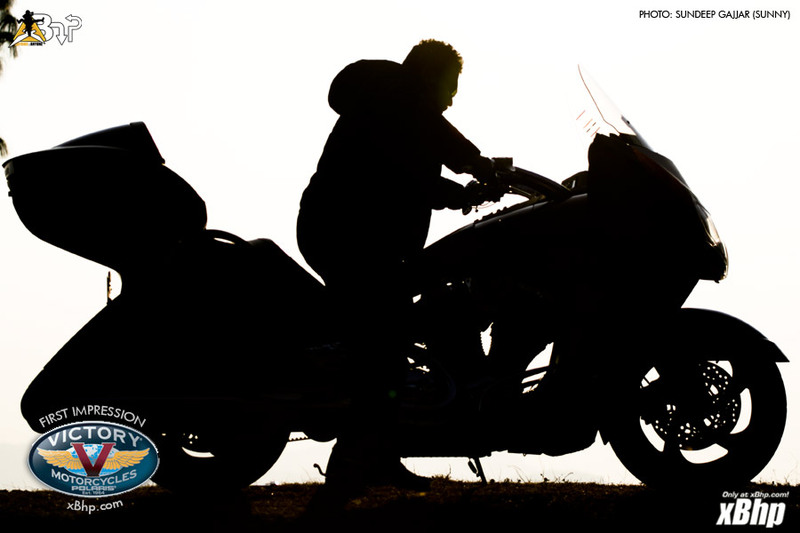 It has also started accepting bookings for the SuperLow and Iron 883, produced from the plant in Haryana. Victory's motorcycle range in the US are priced between $12,499 (Rs 5.68 lakh) and $27,994 (Rs 12.73 lakh). Victory, whose parent company is Polaris Industries, is also aggressively looking to recruit people for its India team, said an industry source. "The company is very aggressive at bringing its products to India, as the market is looking at a sustained long-term growth in life style vehicles like cruisers.&"
Polaris has interests in designing, manufacturing and distributing a variety of products like the all-terrain vehicles, snowmobiles, motorcycles, parts and accessories. The company has operations in France, Australia, New Zealand, Britain, Scandinavia, Germany and Spain. To discourage imports and encourage local manufacturing activity, the Indian government has kept the import duties high, which effectively doubles the price of a model when it lands in showrooms. A local assembly operation will bring down costs by a minimum of 30 per cent and can go up on the basis of the level of localisation or components which are sourced locally. A completely knocked down operation means parts will be brought to India and assembled here. Therefore, global two-wheeler giants like Kawasaki, KTM Power Sports AG, Honda Motor Company, Harley Davidson and Suzuki Motor Corporation, to name a few, are in the process or have already set up assembly units in India. The performance and luxury biking segment, expected to touch the 2,000 units per year mark, has recently seen added competition with Italy's Ducati and Aprilia and Taiwan's Hyosung opening shop here. More companies such as Germany's BMW and UK's Triumph are waiting in the wings to launch their products. 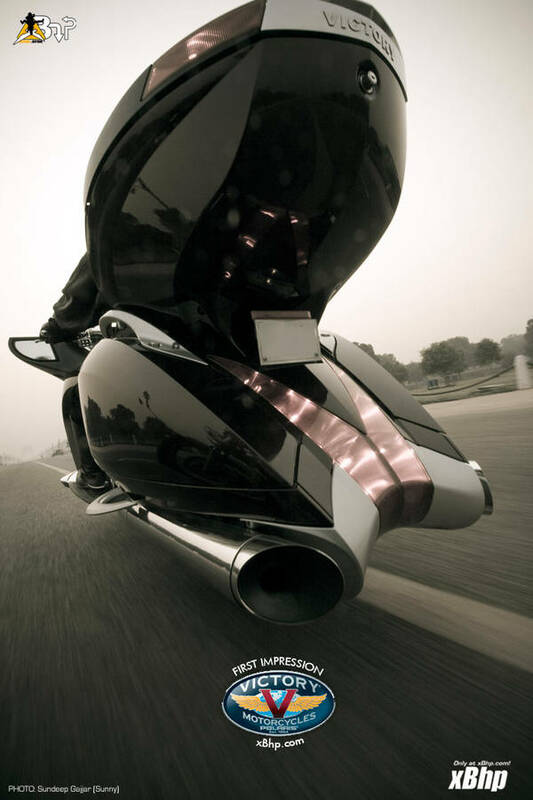 Victory Motorcycles or Indian Motorcycles is thinking of arriving on Indian shores with their huge engines and profiles. http://www.xbhp.com/talkies/first-im...ry-vision.html and we could be seeing this in a showroom near us soon! So now H-D will soon have a worthy competitor! Last edited by sunilg; 02-18-2011 at 01:39 PM. All though this guys are new against HD, their engines can put 90% indian cars engines to shame, if questioned about the CC and BHP. I hope this happens soon. For some reason im excite about Victory way more than HD! -For HELLA/VALEO [BMW/AUDI/FORD/LINCOLN/SKODA],P220,Aftermarket Projectors,pls contact me! Victory's fit & finish is any day way ahead of HD. Would be nice to see them in to India officially. waiting to see it in our country.. I hope this happens sooner rather than later..
HD will surely get a tough competition from Victory. These are one hell of a touring machine. But a 1700 odd cc producing around 98-100 hp is little less IMO..Torque around 147Nm is relatively nice though. Specification of the 2010 VV. But inspite of all these i love it..
Indian Automotive Scenario is changing at a very rapid glance... When Bentleys, Rolls Royce, Jaguars & Rovers et all are scattered very well in our country then how can biking scenario stay partially occupied with only H-D taking roll in cruiser-biking category. Soon we'll be having Triumph, BMW & other exotics finding their way into our hearts as well. Shouldn't this be in the speculation thread then? [G.k] All About Indian Bikes. ZMA-R or the fastest Indian!!! By LiBran in forum What Bike?